Why "ultimate"? 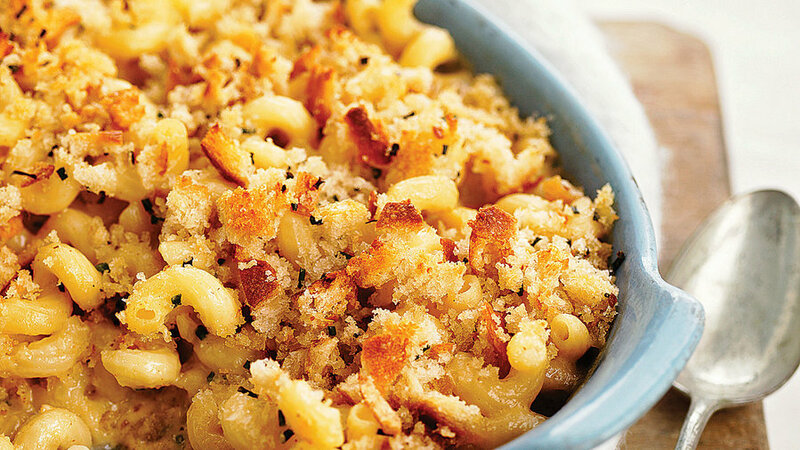 Because the sauce is creamy, not grainy; it's flavored with shallots, gruyère, and white wine, like fondue; and it's topped with crunchy sourdough bread crumbs. 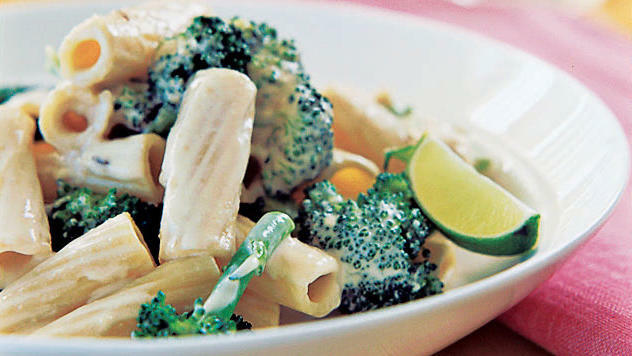 The comfort-food classic gets studded with jewels of fresh vegetables for an all-in-one meal. 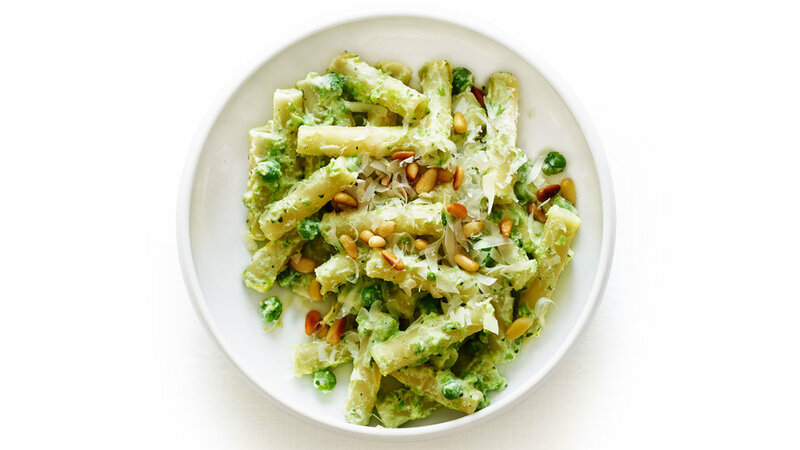 Loads of bright, robust herbs make this version of pesto a standout. 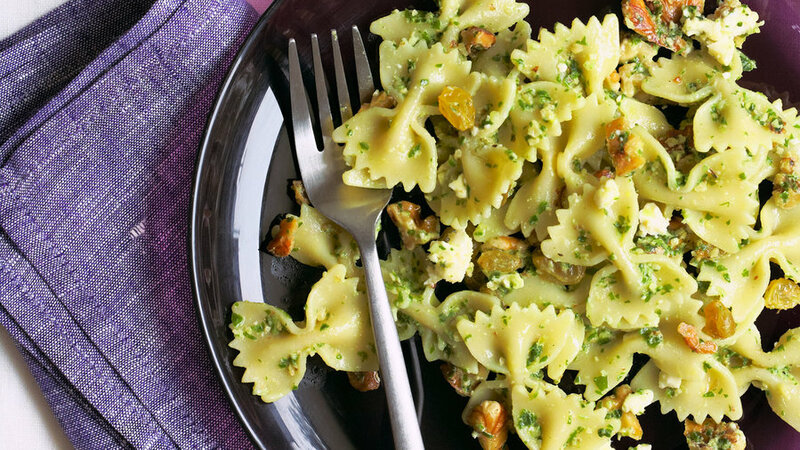 To create a mild, nutty flavor in this special pesto, be sure to toast the walnuts, and use baby arugula rather than full-grown. 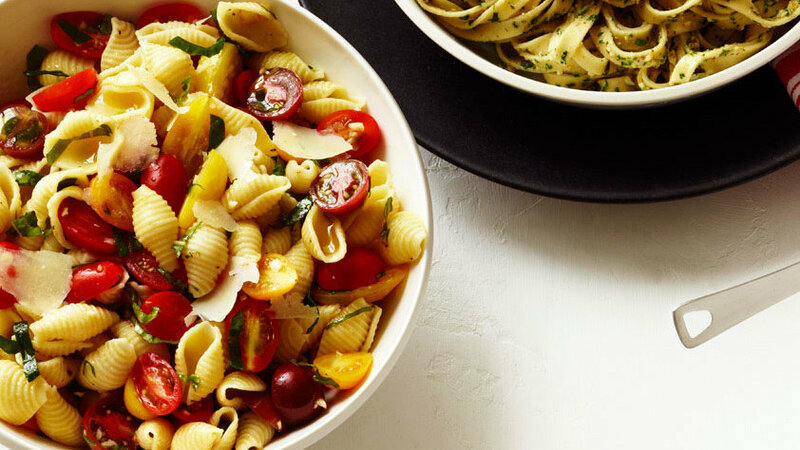 This very simple, seasonal recipe is all about super-ripe, juicy tomatoes. 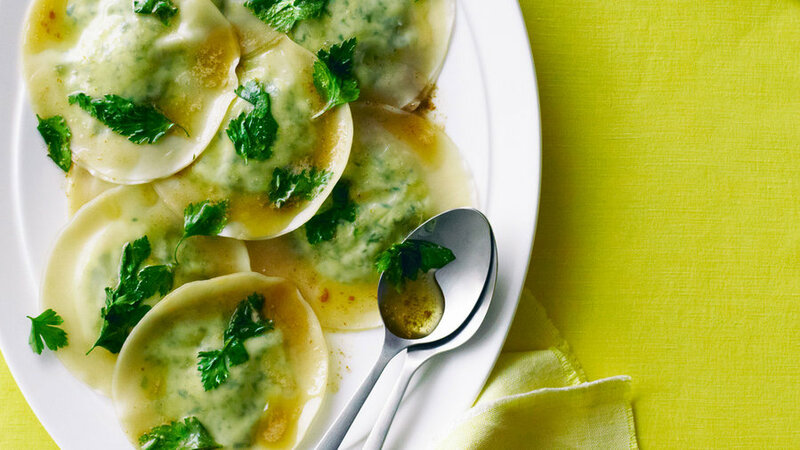 When summer weather brings on fat bunches of parsley, we like to use it generously as both filling and topping for these ravioli. 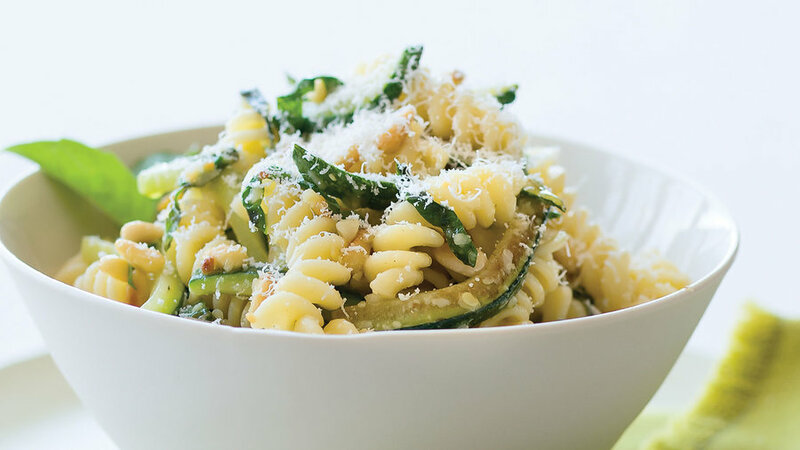 Freshly grated parmesan is essential to give the medley of corkscrew-shaped fusilli and zucchini strips the most flavor. 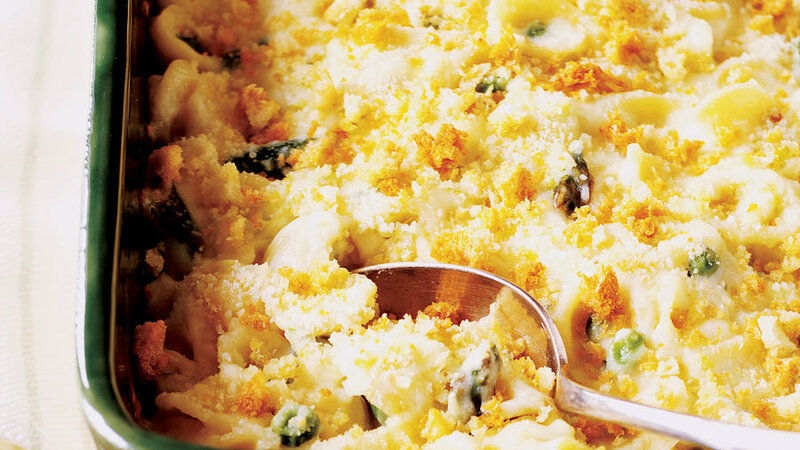 A little lemon juice and zest brighten this simple, fresh combination. 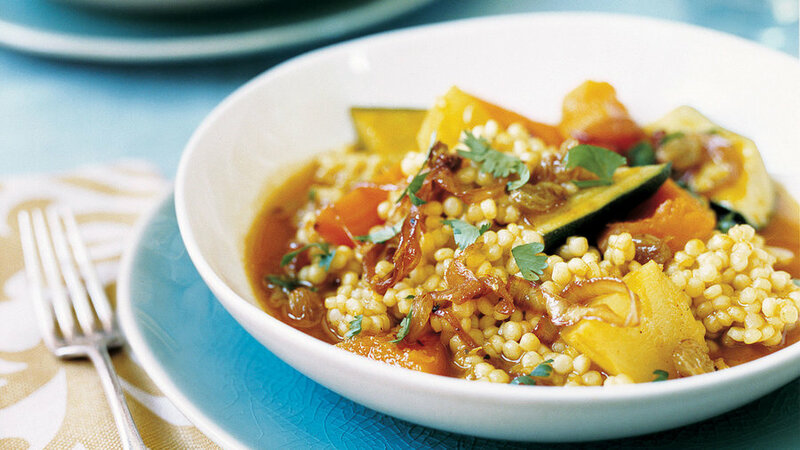 If you’re cooking for vegans—or just like the rich flavor of roasted almonds—this recipe is a great choice. 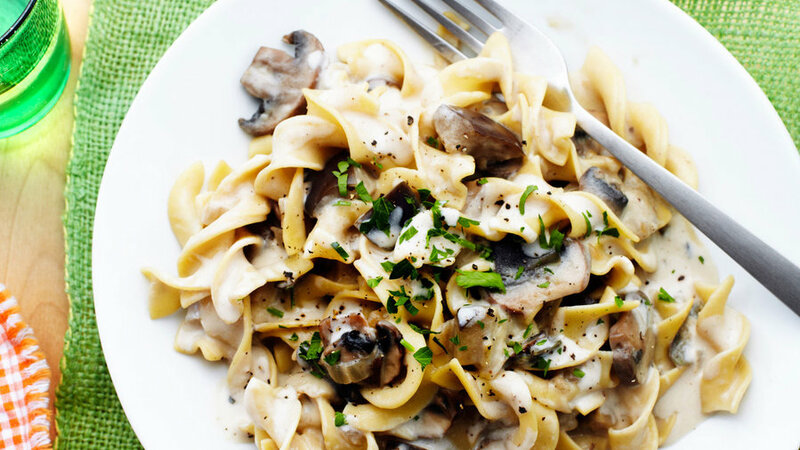 Sliced mushrooms give the sauce a meaty texture and loads of earthy flavor. 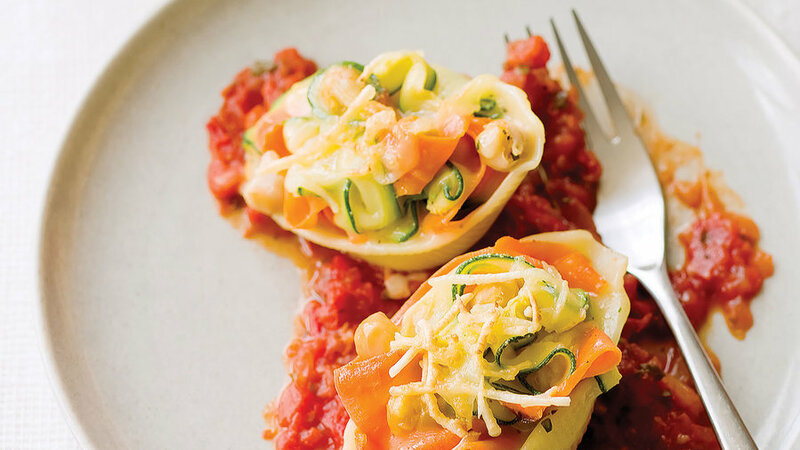 If you have a mandoline, it makes quick work of creating the carrot and zucchini ribbons, but you can also use a vegetable peeler. 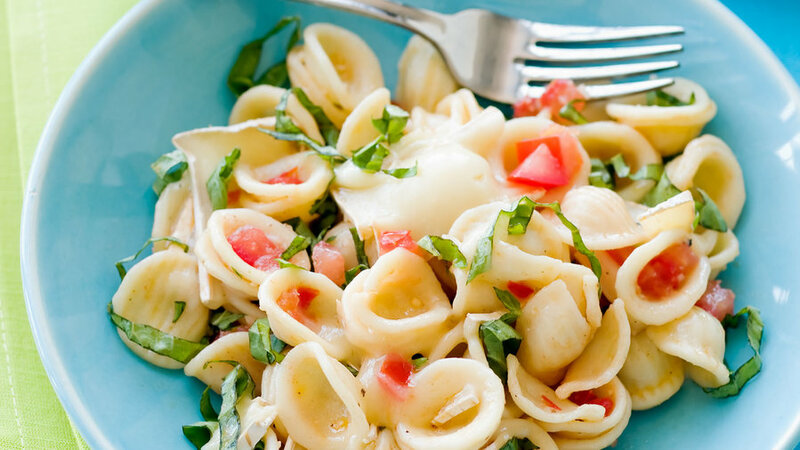 Instead of the usual parmesan, a Sunset reader opted for creamy brie, which coats the pasta beautifully. 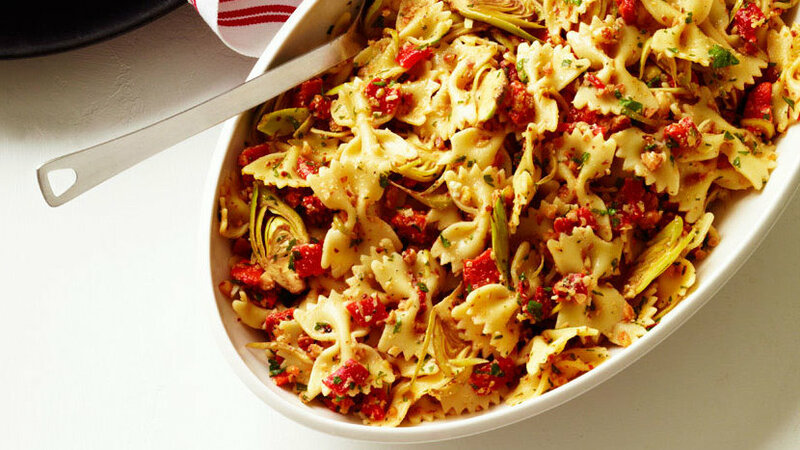 Feel free to be generous with the salt and pepper to bring out the most flavor in the hearty vegetables and whole-wheat pasta. 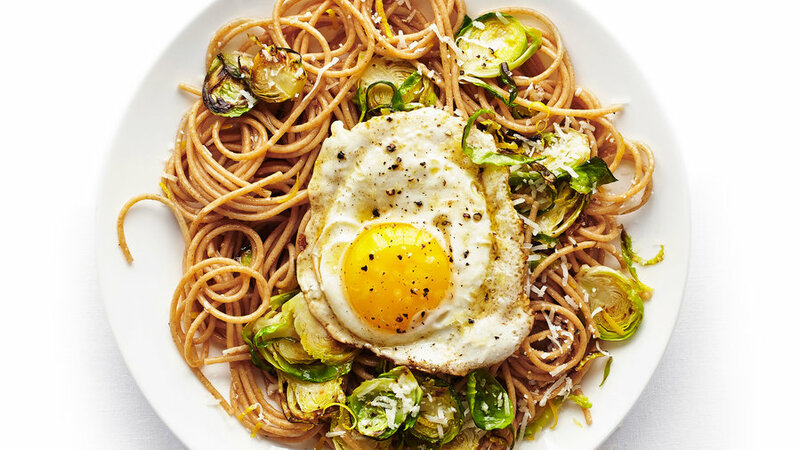 Cut into the runny egg yolk to create a little sauce for the garlic- and butter-seasoned Brussels sprouts and pasta. 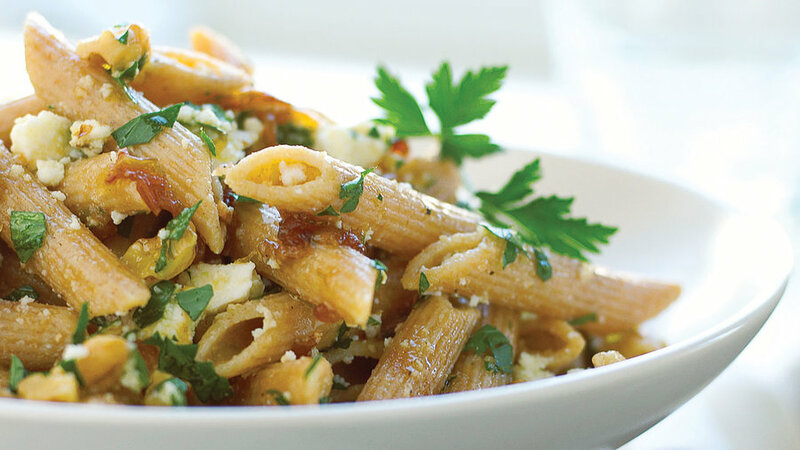 Cooking onions for almost an hour brings out their sweet side, which is excellent with the salty cheese. 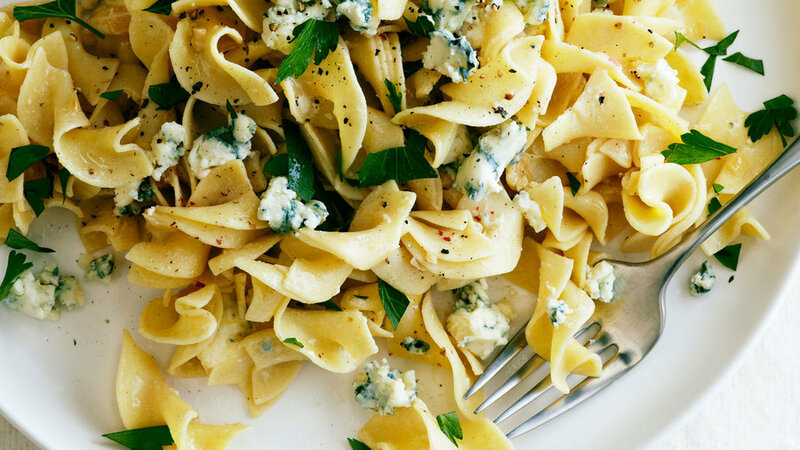 For the mildest flavor, choose a full-fat, creamy blue like gorgonzola and a lager-style beer; or go for a tangy Danish blue and an IPA-style beer if you’d like a more robust dish. 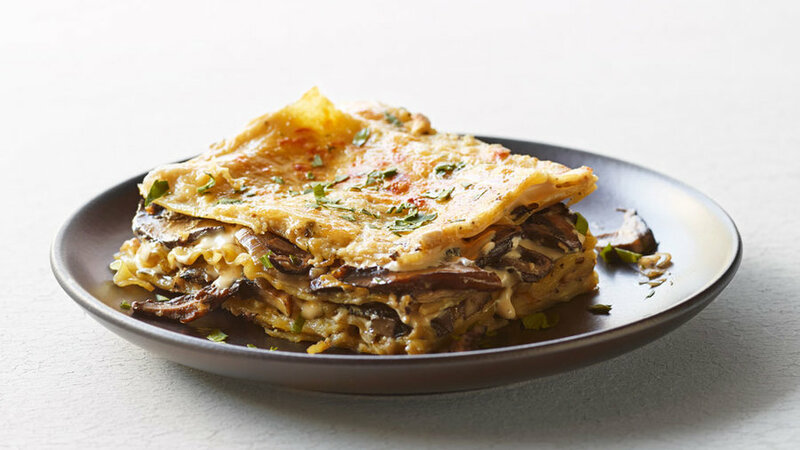 Sautéed mushrooms as well as eggplant give a meatiness to the sour cream sauce. 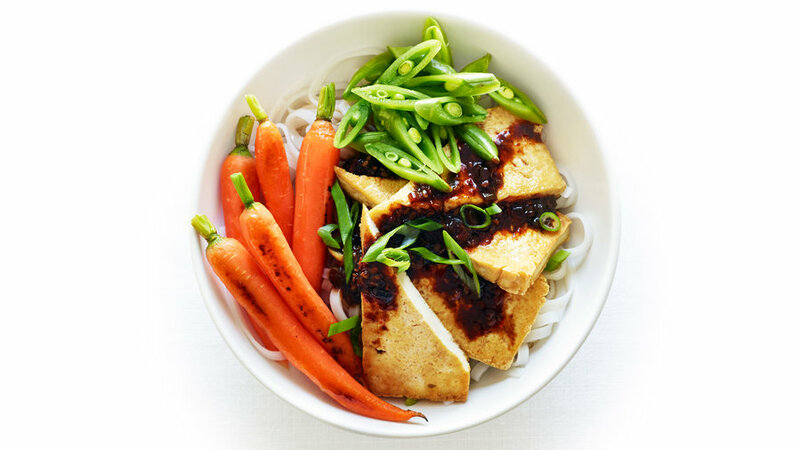 Pan-searing sliced tofu gives it a meatiness that’s deliciously offset by crunchy vegetables, a drizzle of salty black bean sauce, and a bed of chewy rice noodles. 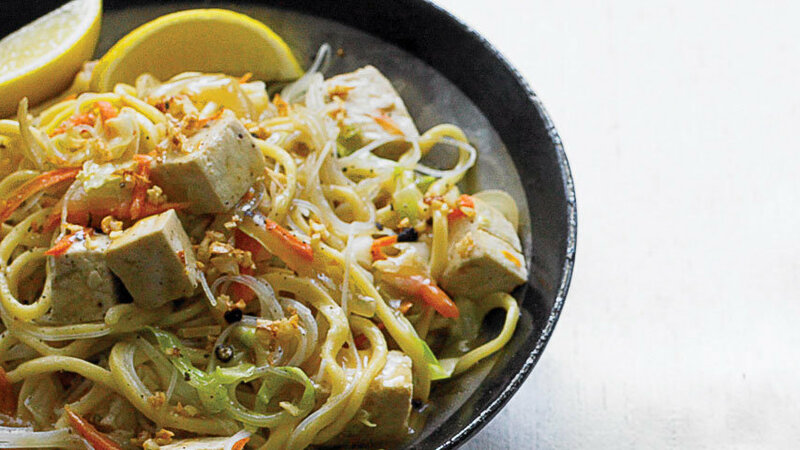 Our version of this Filipino favorite is based on a garlicky, peppery one at House of Sisig in Daly City, California. 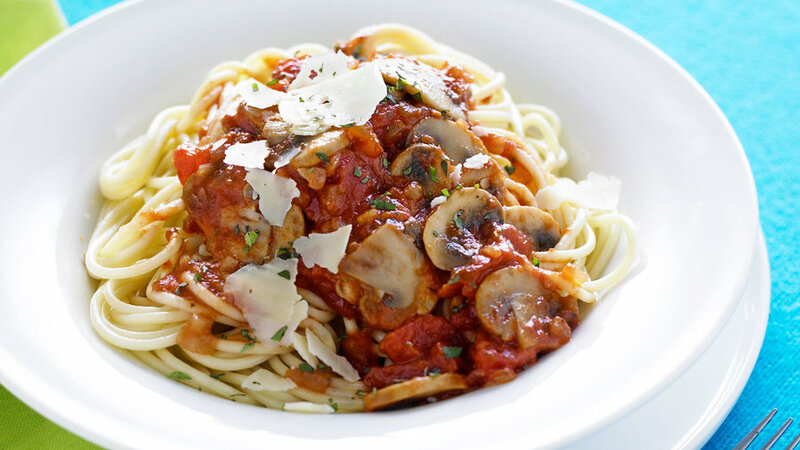 Substitute vegetable broth for chicken. 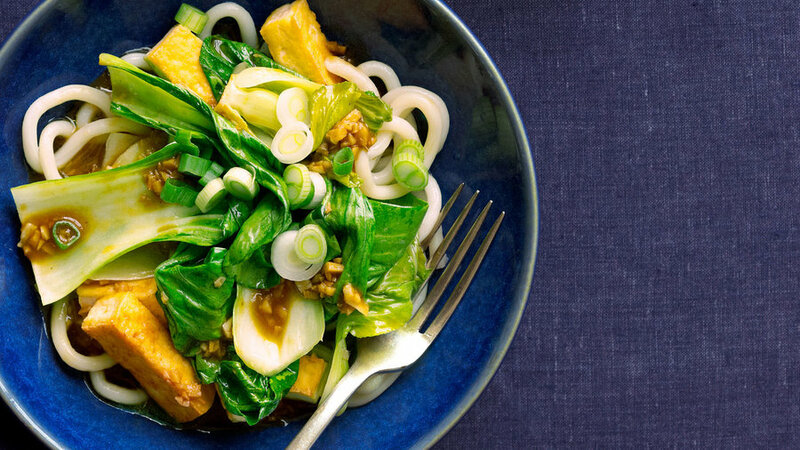 Browning tofu in a little oil gives it a more complex flavor; the tofu also develops a crisp surface that contrasts nicely with the tender noodles and tender-crisp bok choy. 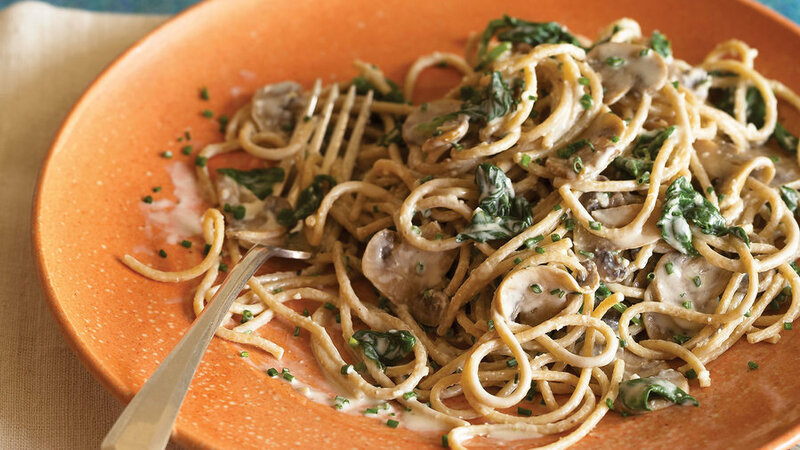 The creamy sauce is on the sweeter side; if you like, feel free to start with less sugar in the sauce and add more to taste. 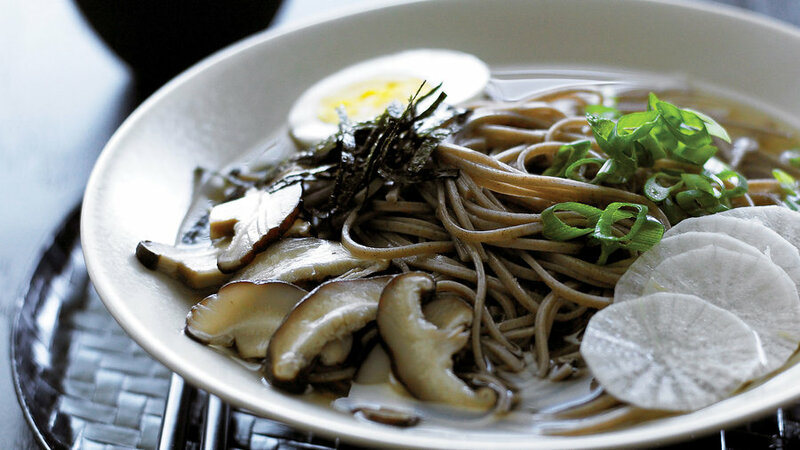 A big noodle bowl hits the spot on a cool evening, and this one, topped with hard-cooked eggs and hearty shiitake mushrooms, is one of our favorites. 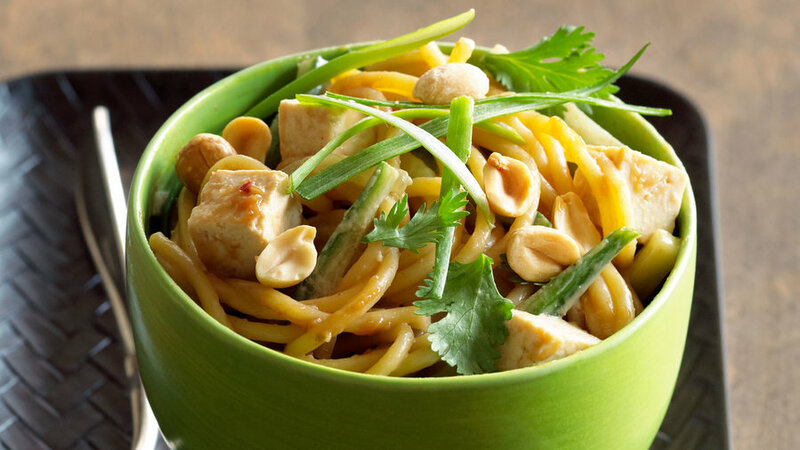 Whole-wheat pasta lends extra nuttiness to a Sunset reader’s Indonesian-inspired vegetarian main dish. Three kinds of sea vegetables, a.k.a. 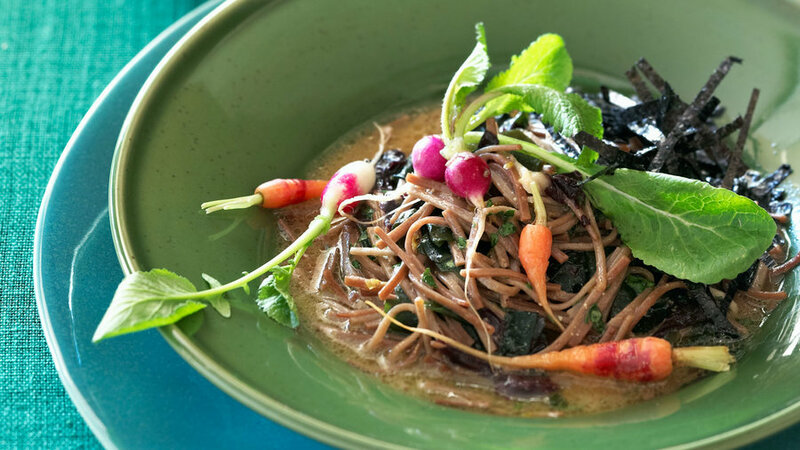 seaweed, give this dish incredible depth of flavor. 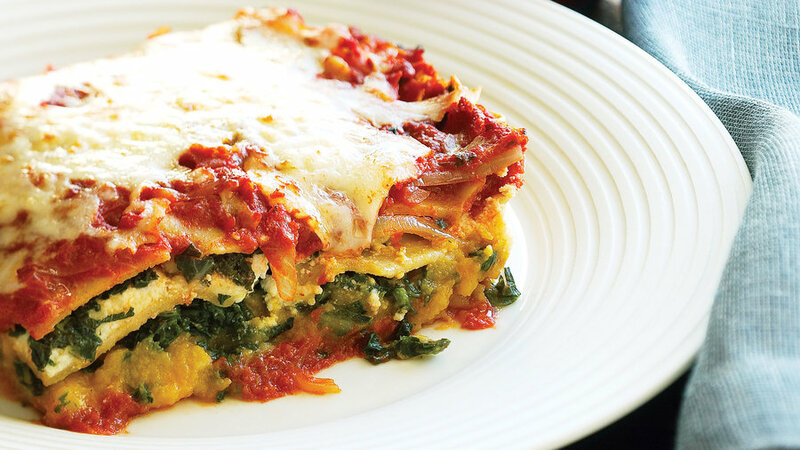 Cookbook author Joanne Weir’s beautiful, richly flavored dish makes a fine option for vegetarians at Thanksgiving or any other special fall meal. 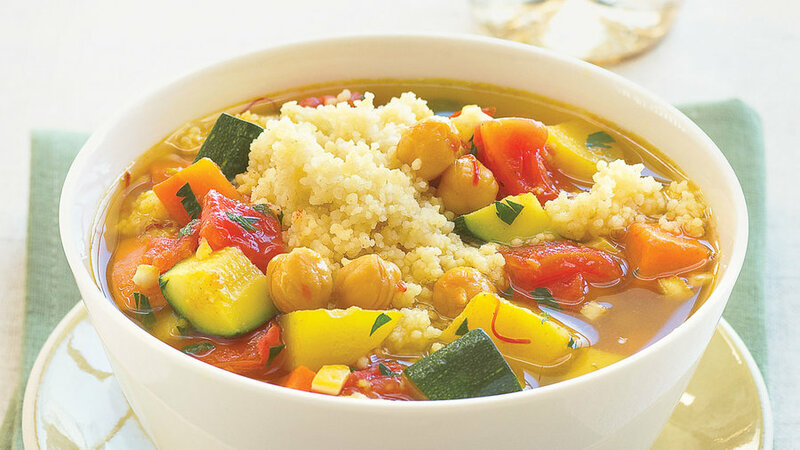 This recipe gets its intriguing flavor from Ras-el-hanout, an aromatic Moroccan spice mix.